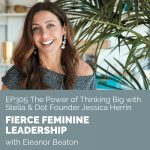 A tenacious and fierce entrepreneur, Jessica Herrin is the CEO and founder of Stella & Dot — a company with a mission to empower women to work on their own terms and be their own boss. Due to her vision to reinvent business opportunities for modern women who work at home, she has captured the attention and gained the respect of Oprah, The New York Times, and Forbes. A great wife and mother, Jessica is also the author of the book Find Your Extraordinary and has co-founded the world’s number one wedding site, WeddingChannel.com. Jessica joins me today to share the experiences that shaped the entrepreneur she would become. She discusses how her personality, being a calculated risk-taker, and the role model she had throughout her childhood inspires her to endure, persevere, and say, ‘I’ve had more challenging times; I’ve got this.’ She also shares some inspiring stories of her former business ventures as a very young entrepreneur and how she invented an alternative to the classic entrepreneurial journey. The “ideal” circumstances that led her to be an entrepreneur. Her unusual family background allowed her to be fierce and tough. How her father influenced her entrepreneurial mindset. Jessica’s career path to founding Stella & Dot. What her first business venture was about. Why she dove into direct sales. The vision she had that inspired her to start Stella & Dot. 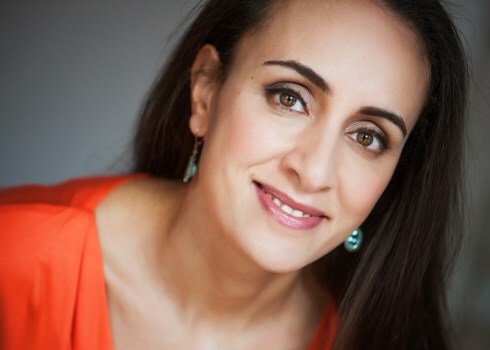 How she came up with the idea to reinvent direct sales for modern women. How her successful experience with WeddingChannel.com shaped who she became as a leader, entrepreneur, and as a voice for women in business. Significant questions to ask yourself that will help you be better and get to a better place in your career or business. The most valuable lesson she learned from being part of WeddingChannel.com. What propelled her to reinvent direct sales for modern women. Why she spent $2,000 as a young teenager on a personalized children’s book business over jeans. The key pillars that have driven the growth in her business. How she stays re-energized so she can continue to question and fuel those reinventions. The biggest fallacy that hurts women. Strategies and insights she has around raising a family, having a personal life, and building a business. What her book is about. Top three success tips for leading a fast-growing company. What a business founder’s dilemma is and how to overcome it. The kind of people you need in your fast-growing business. Do you want to be recognized as the preeminent expert in your industry, solidify your reputation as an entrepreneur, and begin landing high-end clients? Join me on January 28, 2019, in Toronto, Canada for The Preeminence Strategy Workshop. Are you ready to stand out from the competition? Ready to position yourself in a Category of One? Want to start working with more high-end clients in 2019? Head over to EleanorBeaton.com/Workshop to register for The Preeminence Strategy Workshop. Space is limited so claim your ticket today!